From the very first moment i saw this Balmain jacket, i instantly fall in love with it! 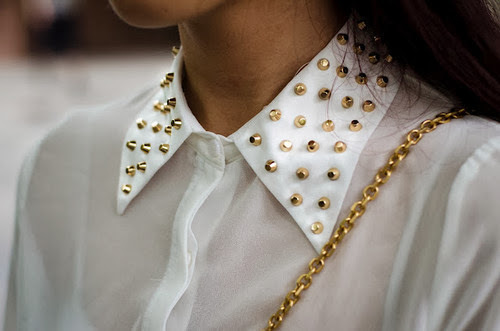 The cool buttons, the structured shoulders and the unique silver details, make it such a statement piece, right...? 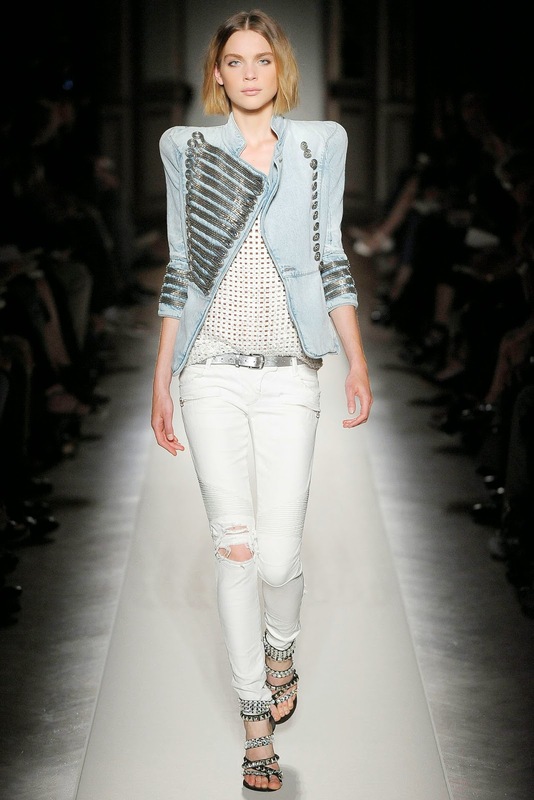 And even though this military jacket is from Balmain's Spring/Summer 2009 collection, i am still loving it and still hoping that one day i'll make it mine! Here is how the model rocked this a-ma-zing jacket at the catwalk. Pure awesomeness, right...? And here is how the jacket really looks... Oh My! Is this perfection or what...?! But the thing is that Balmain's S/S 2009 collection had also some other really-really gorgeous pieces, like the jackets down below. Oh My Goodness! I want them all! At last, here are some cool ways that you can style my dreamy Balmain jacket or just a similar one! JustSmileWithStyle hit 200 followers today on bloglovin and i couldn't be happier about it! Thank you all so much for the support, the likes, the sweet comments, EVERYTHING! 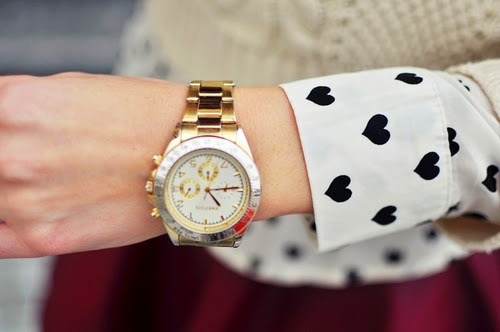 I am so blessed and so grateful that i get to do what i truly love, which is blogging about fashion and style. Also, if YOU have a bloglovin account don't forget to follow JustSmileWithStyle and i'll do the same, since i follow every single one thats follows me there! It is definitely a staple piece for the winter time, plus, it's probably the chic-est outerwear for the super cold days. A fur coat is perfect for day and night time and it will keep you extra warm and cozy even at the lowest temperatures. So, here are some really cute ways that you can style your fur coat (photos via stylescrapbook, stockholmstreetstyle, the blonde salad, song of style and kayture). If you are tired of wearing beanies and fedora hats, then marine caps are exactly what you need! You can totally wear them with a casual outfit during the winter -or even the summer- time, in order to add that sailor-boy vibe to your look. Marine caps were mainly spotted at Ralph Lauren's runway show but few of them were seen at Emilio Pucci's show, as well. As for styling them, a pair of jeans/pants/leggings/winter shorts, a dress or a skirt will work perfectly! If you are looking for some cool ways that you can adopt this trend, then get inspired from my favorite fashion blogger, Andy Torres from Stylescrapbook! I have to admit that i never was a big fan of total black outfits. See, the truth is that i find them too simple, or even kind of boring, since wearing black with black and black isn't really creative, right...? I mean, fashion is all about mixing different prints, fabrics and colours, isn't it...? But, after years-and years-and years of searching for a total black outfit that i would 100% love, i finally came across this absolutely stunning look by Irina Shayk. And the weird thing is that, i don't even know why i love this outfit so much...! It's probably because it consists of so many classic pieces, like the quilted Chanel bag, the Christian Louboutin booties, the Ray-Ban aviators... Who knows...?! Anyway, the thing is that i would totally wear this look, even though i have never (EVER) worn a total black outfit in my entire life. (!) But there is always a first time for everything, isn't it...? Can't wait to hear your thoughts about Irina's look, or just your opinion about total black outfits! Happy new year everybody! I hope 2014 will be full of health, joy and happiness for you and your loved ones. Also, i wish to every single one of you to make her/his dreams come true, during this new year. Let's make 2014 the BEST year, yet! So, the first post of the year is all about inspirational pictures. I hope you like them and get inspired from them!